DURHAM, North Carolina (WTVD) -- Durham Police confirmed that a man who was shot in Durham Sunday morning in the 1500 block of Fidelity Drive has died. Officers responded to a call of shots fired at 8:40 a.m. and arrived to find the victim dead with a gunshot wound. Police have arrested three people in connection with the incident. 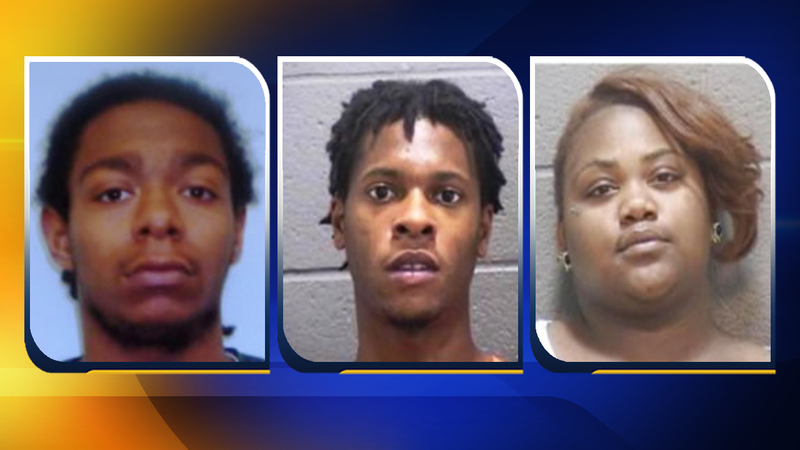 Khalil Knight, 22, was charged with murder and armed robbery and Kenneth Gibbs, 21, and Monet Wise, 23, were charged with murder. Investigators are working to identify the victim. Anyone with information is asked to call investigator E. Ortiz at (919) 560-4440, ext.29337 or Crimestoppers at (919)683-1200.